Quebec is the only province in Canada that requires, by law, that all vehicles be equipped with winter tires. Since this law came into effect, winter collisions have fallen by 17% and crashes causing serious injury or death have fallen by 36%. With no such laws in Alberta, it’s up to drivers to study their winter driving habits and make an informed choice. All Season Tires or Winter Tires? A common misconception among Canadian drivers is that all season tires provide the same performance benefits that winter tires do. In fact, all season tires are not designed for areas that receive continual snow and low temperatures. They’re made of a firm rubber that hardens and stiffens in colder temperatures which results in a lack of friction and traction when driving through harsh winter elements. Once temperatures dip below 7º C, all-season tires lose their grip and braking distances increase. Winter tires are more effective because they’re made from a softer rubber that stays flexible in cold weather. They have more treads and deeper groves for better traction on snow and ice. Winter tires are not only for snow but for cold weather. When driving on roads that are cold, wet, frosty, snowy, or icy winter tires can deliver 50% better traction over standard tires. This could mean the difference between safe acceleration/braking and a collision. 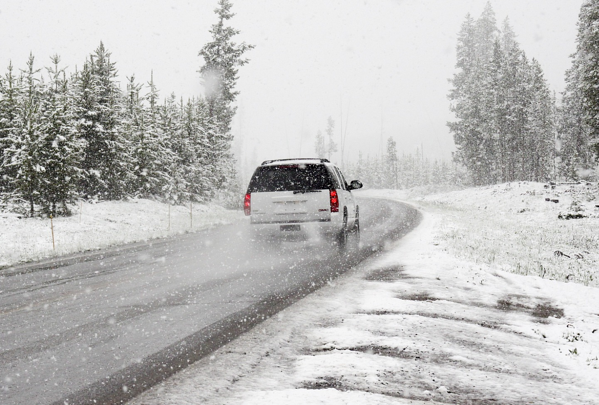 Winter tires also outperform all-season tires with stopping distances of up to 40% less. The longer winter tires drive on warm roads, the faster they’ll wear out. You should plan to put on your winter tires about two weeks before this year’s first snowfall is expected. Once the average daily temperatures are over +7C, you should change those winter tires for summer or all-season models. Do I Need Two Winter Tires or Four? Having two types of tires on the same vehicle is never encouraged. This can weaken acceleration, braking, handling, control and cause unusual wear. For reliable vehicle handling, always install four matching winter tires. If you don’t, your front and back wheels won’t have the same traction and you could lose control. If you live in cities, suburbs, or rural areas with heavy snow and consistent winter conditions. If you drive on highway, mountains, or unplowed roads. If you face harsh winters filled with heavy, hard-packed snow, ice and moderate to extreme cold. While winter tires aren’t required by law in Alberta, they sure do make a difference when driving through our province in the winter. If you’ve never swapped out your all-season’s for winter, you should give it a try this winter. For most the difference is night and day!